Oh my gosh! 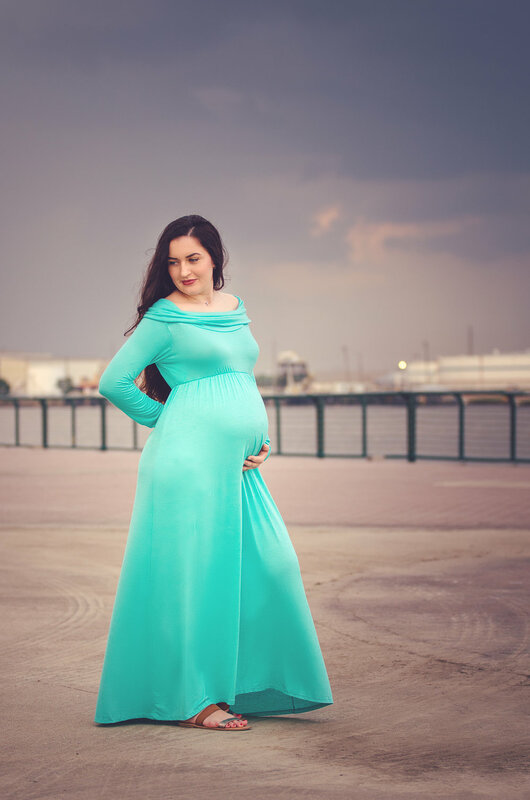 Karina is absolutely stunning with her cute little baby bump!!! 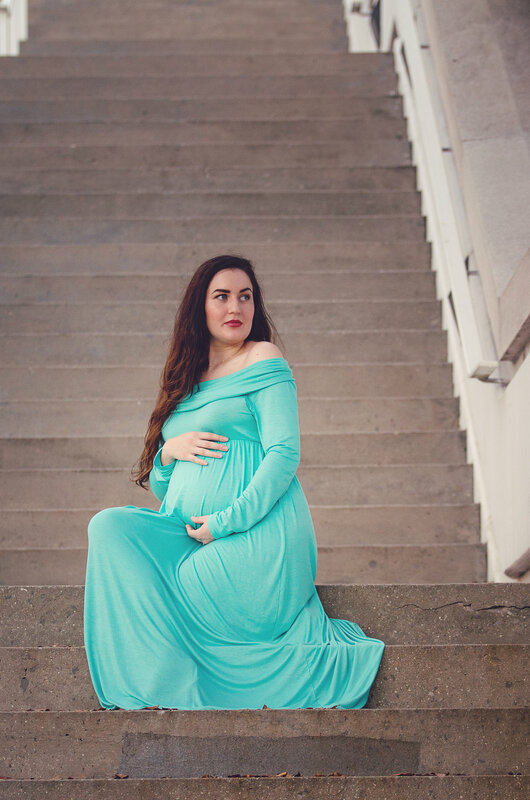 I recently held a model call for maternity gowns that I will have for new Mama’s to choose from when they book their session with me. It took a while for this gown to come in but wow, was it worth the wait! The session was shot on the streets of Downtown Mobile in Alabama. Rain clouds surrounded us but held off long enough for us to get amazing shots. 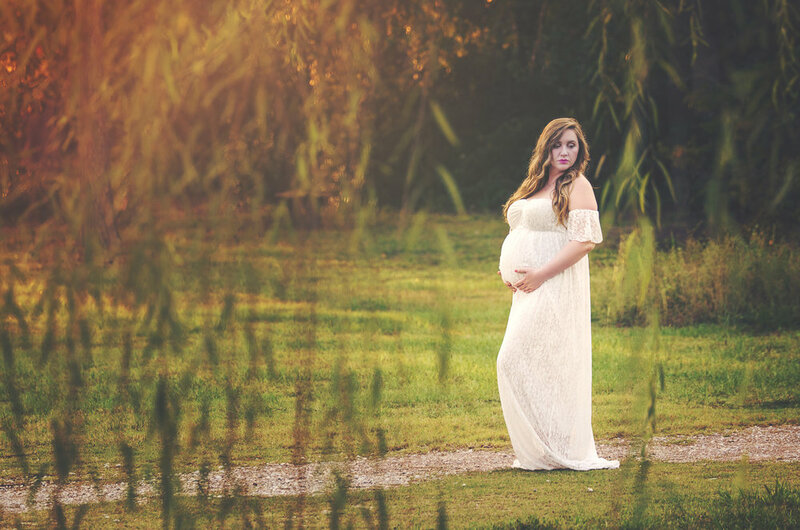 This beautiful Mama definitely rocked her session! 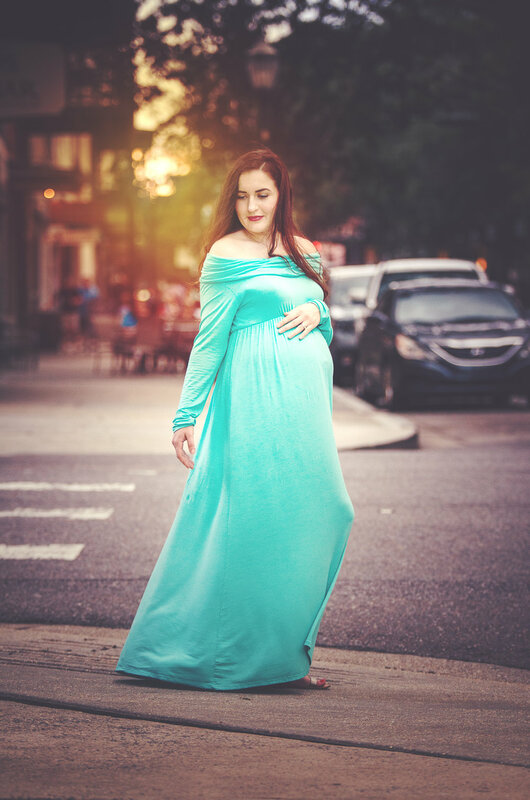 Thank you for modeling my gown for me Karina and congratulations on your bundle of joy!! I know you are going to be an amazing Mom. I met Megan in July while I was working Kayla and Kelli's wedding. Such a beautiful bridesmaid with a growing baby bump. We talked a little about maternity photos and I gave her my information to contact me when she was ready. In August the unthinkable happened and Megan's boyfriend, the father of her sweet baby girl, passed away from the injuries he had received in an accident. 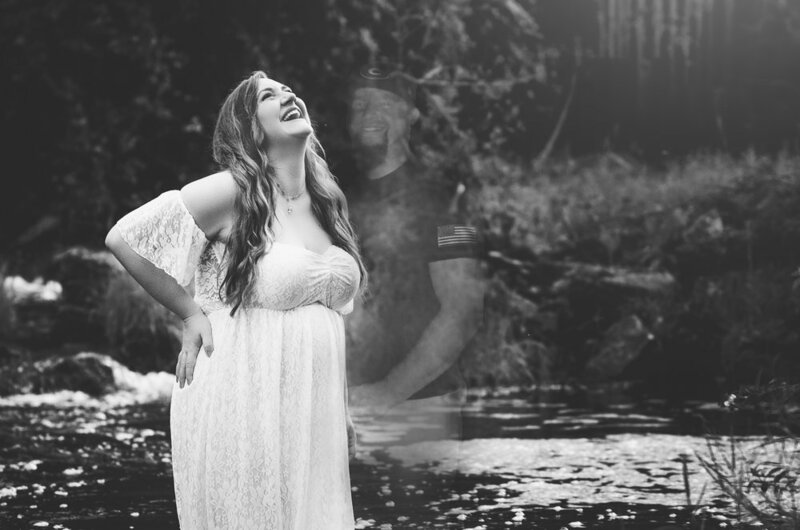 There was no way I could imagine the pain and grief that she was going through but a few days later I reached out to her because I knew her maternity photos had to be special. I knew that it was going to be an emotional session because she had planned on having him with her. Even though he wasn't there with us in person he was there holding her hand in spirit, helping her be strong. The night after our session at the Japanese Gardens in Mobile, AL , Megan send me a message with a note to Justin. So many things are left unsaid when someone leaves the world unexpectedly and way too soon. 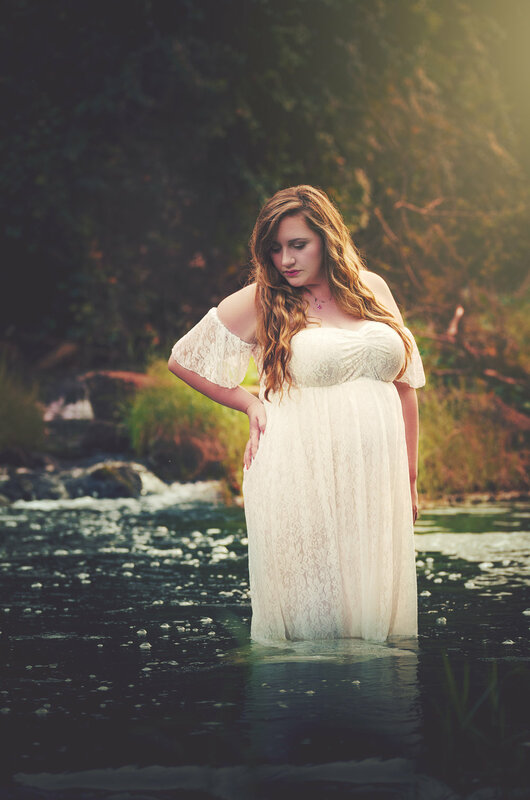 Megan wanted to include the letter in the blog post and this story so that Justin is as much a part of the maternity session as he can be, and so that anyone reading knows their story and sees the symbolic meaning of the weeping willows and photos of Justin through out the gallery. This gorgeous mama is due next with with her baby boy. When she said she wanted to encorporate nature as well as water I knew the perfect place. After the session was over Sommer suggested that we head to the water and try a few photos there. You look amazing Sommer and I can not wait to meet your little man! He is one lucky kid who has two parents that love him already so very much! 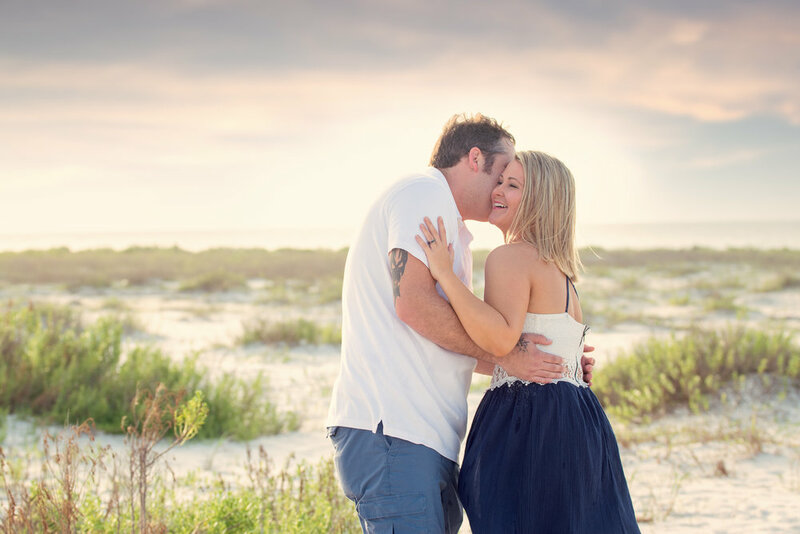 I recently had a family portrait session on Dauphin Island, Alabama with this adorable family. The Smith family is a sweet family of 5, soon to be 6. It was a honor that they used one of my photos from the session as their pregnancy announcement. The day of our session the weather was hot and humid but we managed to capture some beautiful shots despite the elements. It was great to see the and photograph this family. Their children are beautiful and were fun to shoot. Congratulations on your pregnancy and thank you for choosing me to capture the day for you!